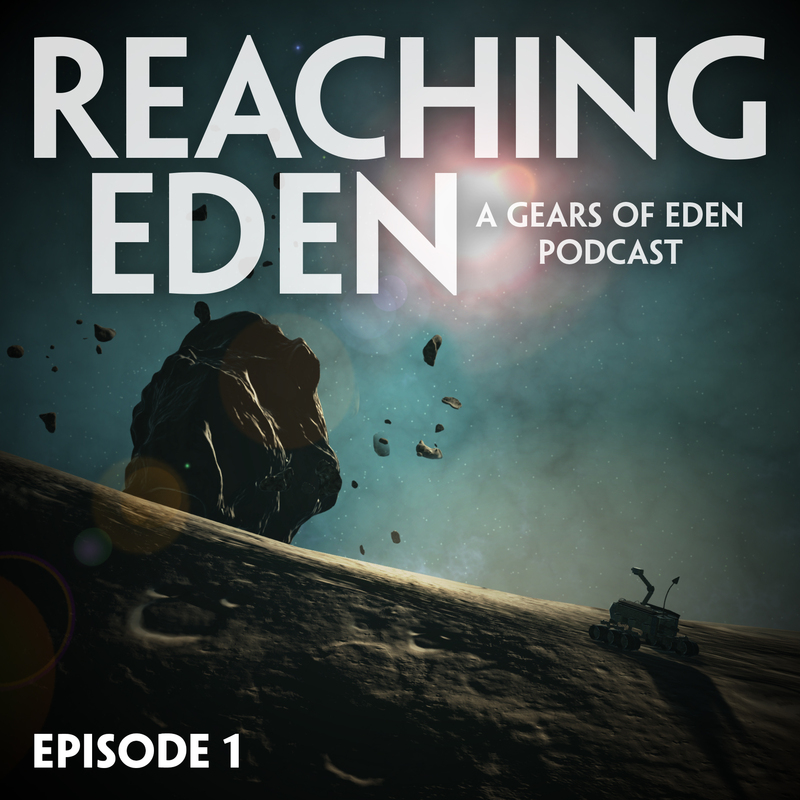 Welcome to the first episode of Reaching Eden! This podcast is created by the development team behind Gears of Eden, an indie scifi space game in early development. In Reaching Eden, we aim to keep you updated on our progress and share some of the things that inspire us creatively as we pursue our goals. We hope this podcast entertains, informs, and helps you take steps to reach your own Eden! In this episode, we talk about our internal Alpha 1 testing and how that is helping us prepare our first public Alpha release. If you’re interested in joining us for some very early Alpha testing, check out our Early Access page. Sledge, our Creative Director, talks about his inspiration this week, which includes synestia, and a reflection on GoE’s progress as seen in our YouTube Channel. Our Lead Writer, Eric, finds his inspiration this week in Star Wars: Aftermath and Words of Radiance. While our Project Manager, Michael, discusses Guardians of the Galaxy and a brewery founding. The show wraps up with a quick discussion on the games we’re playing lately, including Injustice 2, Overwatch and Keep Talking and Nobody Explodes. Let us know what you think! You can find us at our official website, gearsofeden.com, or on Twitter or Facebook! We’d love to hear your feedback, questions and suggestions!